DON’T LET SPRING FATIGUE RUIN YOUR WORK LIFE! Nutrition is the number one weapon in the battle to fight off spring fatigue. We have compiled some dietary suggestions that will help you avoid the exhaustion that comes with spring. Start your day with a diverse, balanced and satisfying breakfast so as to feel energetic and not to crave for unhealthy food during the rest of the day. Stay away from foods rich in carbohydrates and sugar in order not to feel sleepy, tired or distracted. Prefer unrefined, whole wheat, rye, oat or brown grains. Go for olive oil dishes or veggies instead of heavy meals to avoid the extra tiredness and weakness. 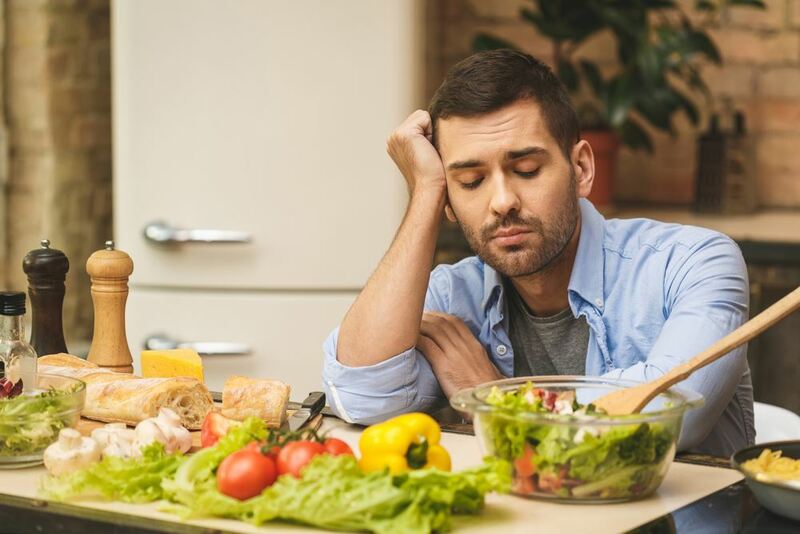 A diet consisting of only three main meals in big portions can also cause fatigue. That’s why you should also eat some healthy snacks three times a day between your main meals. Plus, it is also important to reduce the portions of main meals. Having some nuts or dried fruits in your drawer or pocket can save life in those moments when you feel that desire for unhealthy snacks. Prefer boiled or grilled meats instead of fried or roasted ones. Make fruit and vegetable consumption a priority as your body tends to lose vitamins and minerals during spring. Drink 2 to 2.5 liters of water a day to maintain your strength and overall health. Vitamin and mineral levels have a key role in escaping from spring fatigue. For this very reason, you should stay away from consuming coffee as caffeine can hinder the absorption of vitamins and minerals. What is good for spring fatigue? Regular exercise will decrease your feeling of fatigue and make you feel active and energetic. Weekend getaways or short holidays will help a lot in reducing the effects of spring fatigue. Stretching when you wake up in the morning is pretty important for improving your blood flow. One of the biggest reasons why some feel the effects of spring fatigue worse is that they have a weak immune system. To avoid finding yourself in that situation, add to your daily routine some new habits that will support your immune system. A regular and healthy sleep can be one of those habits. Stress can lead to a more severe state of spring fatigue. Therefore, stress-inducing issues must be resolved or warded off. Harmful habits such as alcohol consumption and smoking should be avoided for a spring fatigue-free life. Receiving daylight every morning and afternoon is of great importance for your biological mechanism. Breathing exercises done on a regular basis delivers more oxygen to your brain. Taking a contrast shower, which means showering at a temperature changing from hot to cold, will make you feel fresh and energetic.